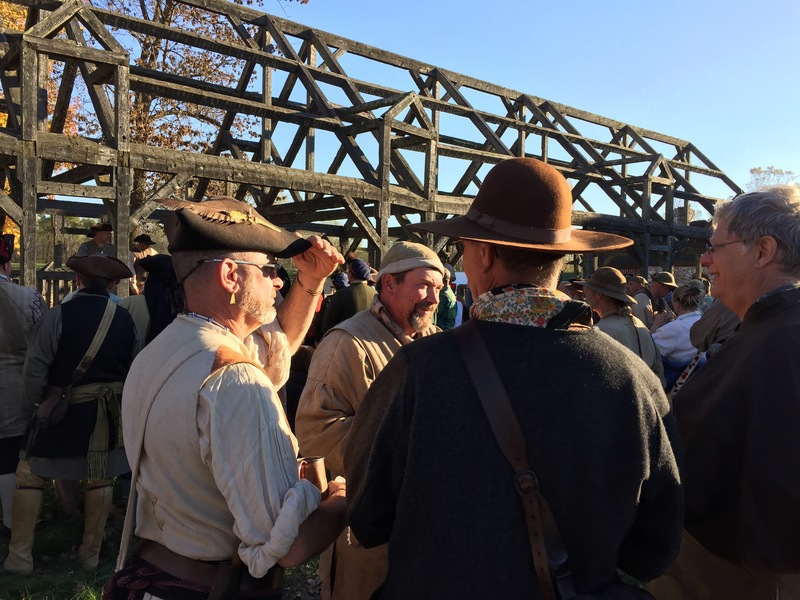 I have participated in only one historical reenactment in my life. In sixth grade, during our unit on the Civil War, I was assigned to the esteemed role of “cannon fodder” on the Confederate side. Needless to say, the part I played was brief, but I died with gusto at the appointed time. 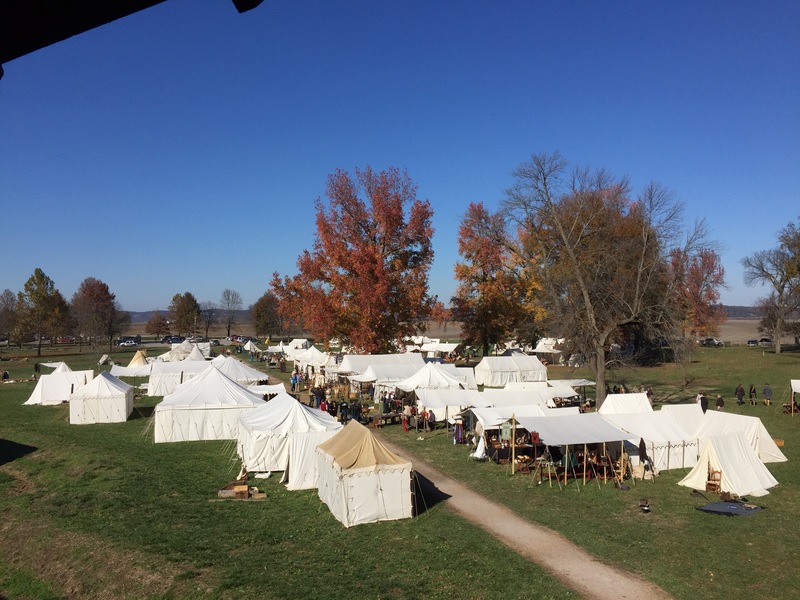 My middle school experience was meager preparation for what awaited us at historic Fort de Chartres. South of East St. Louis lie the American Bottom. This massive floodplain sits between wide bluffs and is flat as a pancake. So flat, in fact, that we passed numerous sod farms; a nice break from the endless fields of corn and soy bean. The Mississippi River has historically flooded and changed course so many times in this area that the historic state lines and waterway no longer line up leaving chunks of Illinois stranded on the Missouri side and vice versa. Woe unto the Illinoian farm whose fields are on the other side of the river! 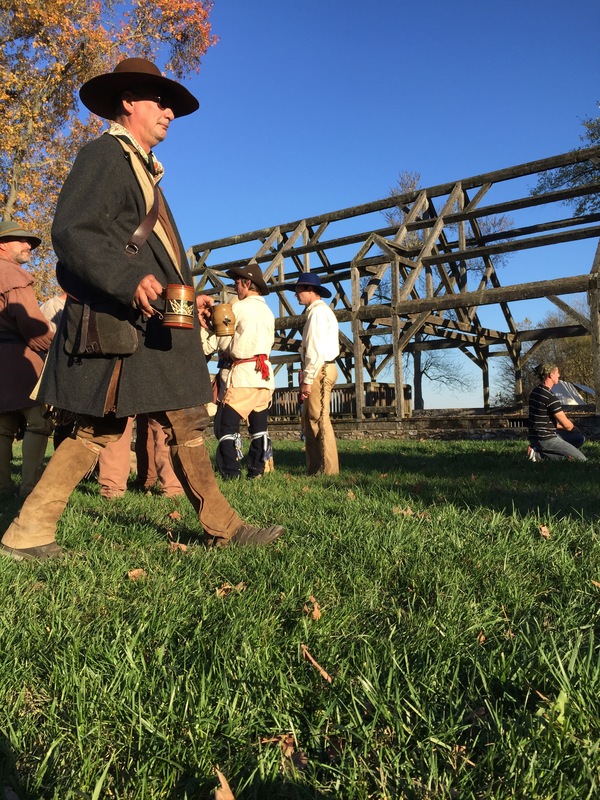 Fort de Chartres was first built as a wooden stockade in 1720 to protect the French colonial territory known as Pays des Illinois, or the Illinois Country. 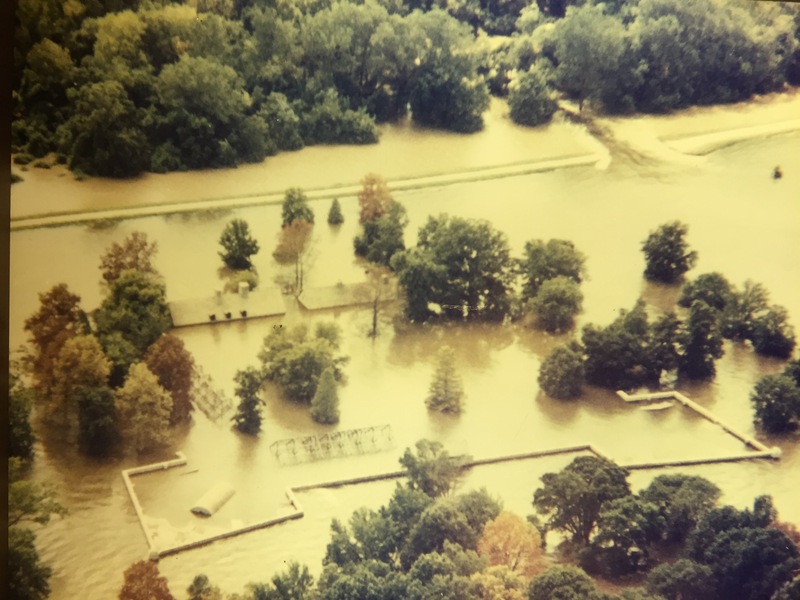 As a result of the Mississippi’s tendency to flood (you may recall the massive flood of 1993 that put this area under 20 feet of water), the French crown ordered the wooden ramparts to be replaced with limestone masonry. What you see here is a recreation of the original fort. 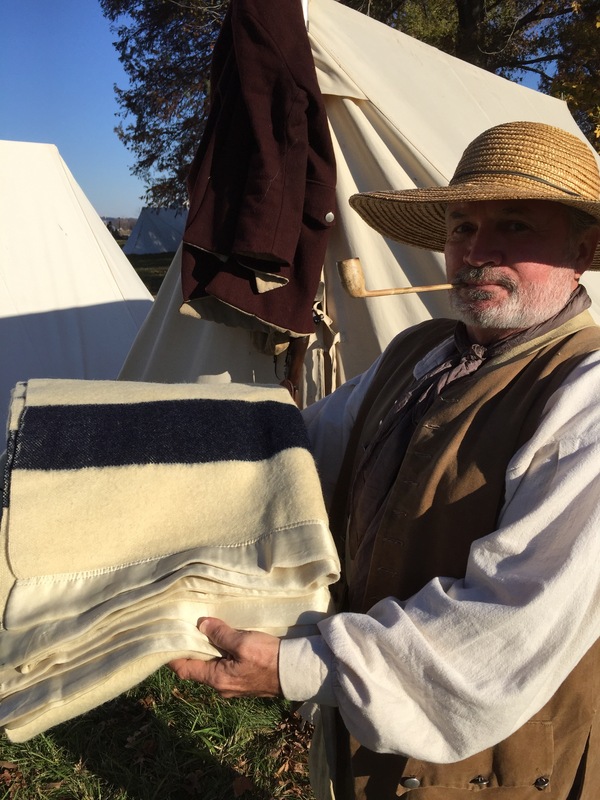 The strategic location between the Ohio and Missouri Rivers made the fort a major meeting point for fur traders, Native Americans, French soldier and settlers. 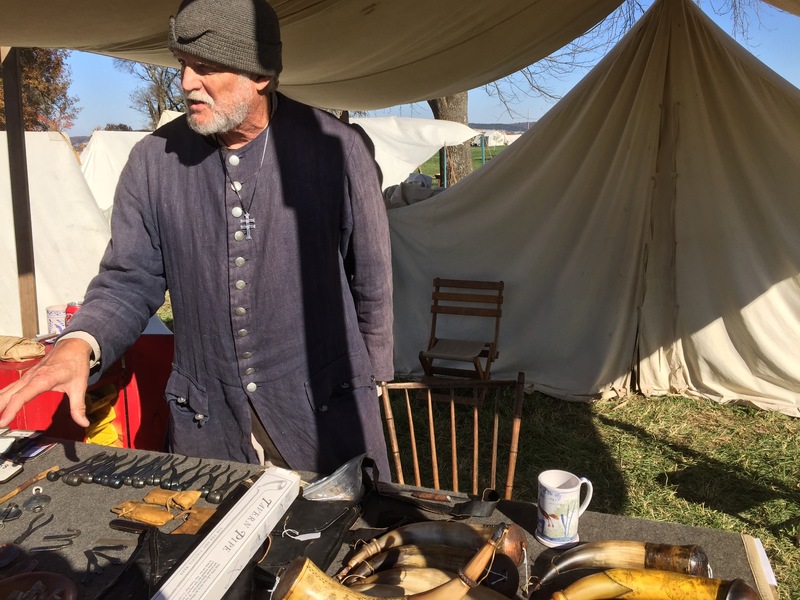 They would historically gather twice a year to exchange goods, share news and have a good time (it seemed that almost every reeneactor was toting a mug or canteen of sorts…). 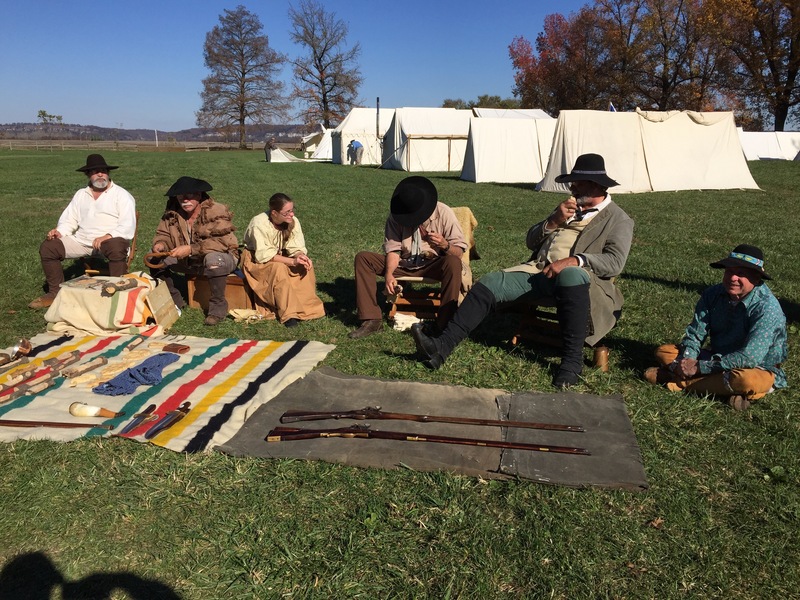 It was a recreation of these historic rendezvous dating back to the early 18th century that we stumbled upon as we rolled up on our bicycles. 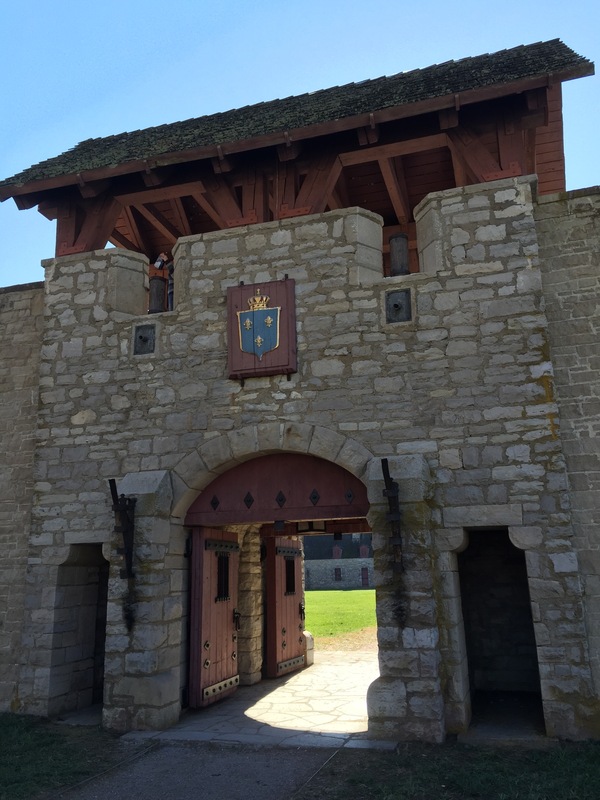 Since we were planning to visit a second fort later that day we had almost passed Fort de Chartres by. We made the right choice in coming. From a distance, we saw a vast sea of cream canvas tents and we knew something special was in store. 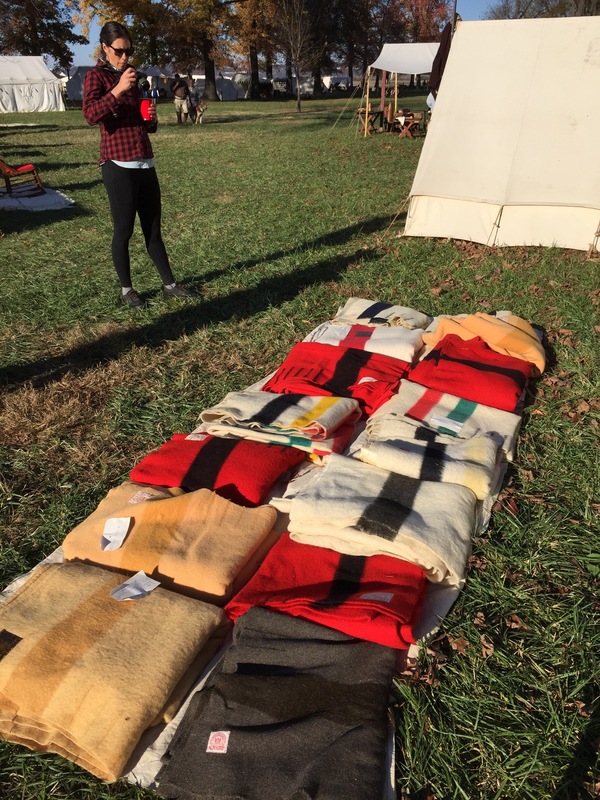 As we got closer, we realized that each tent was selling different wares ranging from old muskets, knives and metal work to cloth, Hudson Bay blankets and confections. Everything was period appropriate. 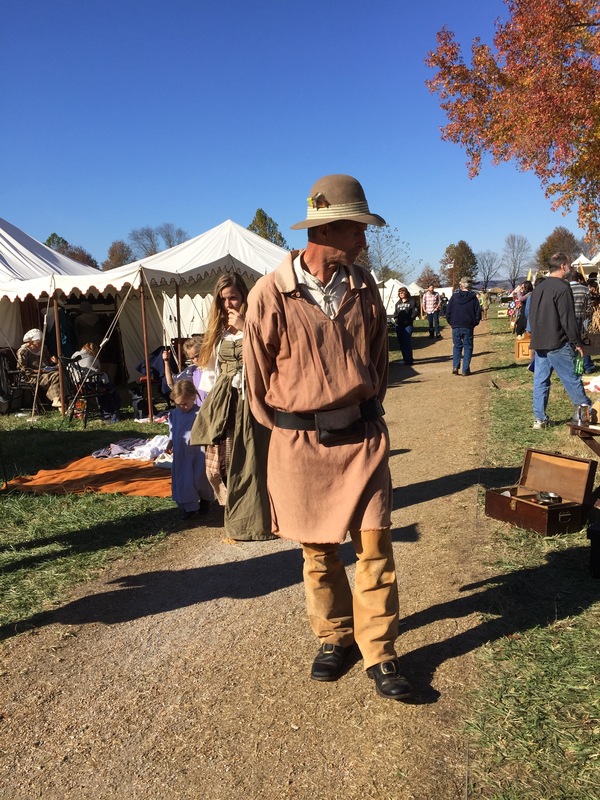 To ensure authenticity, the event had “dog soldiers” that would patrol the grounds and reprimand anyone that wasn’t acting in character or indulging in more modern luxuries. As you can see, visitors were not held to the same standards. 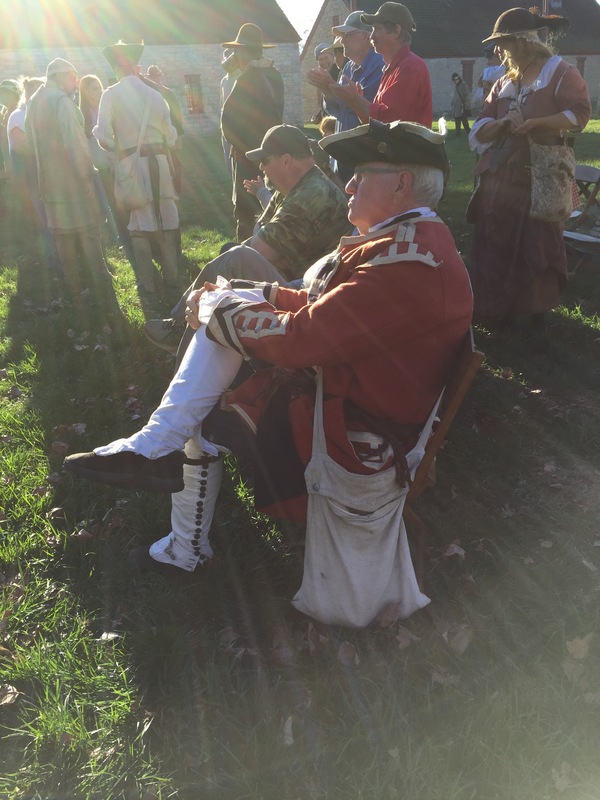 As the day wore on, we were attracted to a crowd gathered in the parade grounds within the fort. We learned that while the market was taking place, other participants were competing in “mountain man” challenges in the adjacent forest. The rendezvous organizers were giving out prizes to the best marksman, tomahawk thrower, quickest fire builder, best orienteer, and, of course, best dressed. 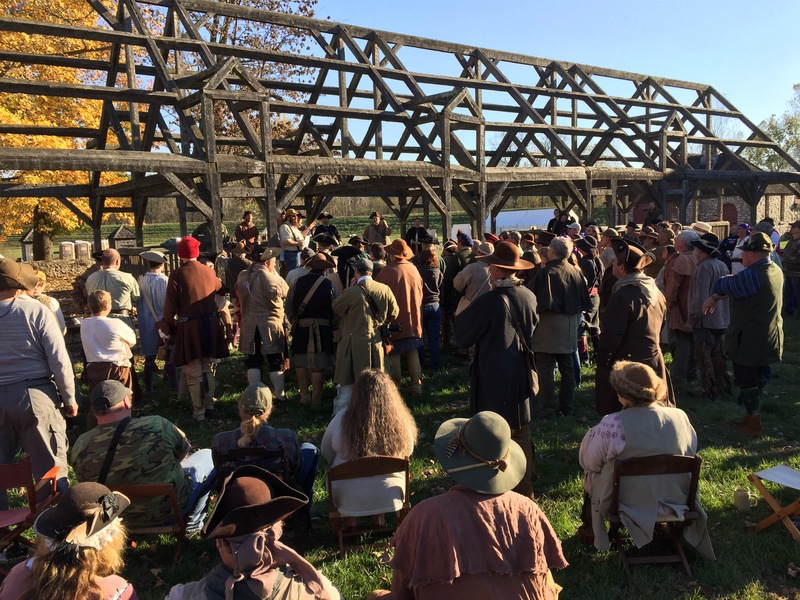 Of the numerous people we met at the rendezvous, a good deal of them were from nearby Missouri and Illinois and could trace their roots back to French settlers that may have attended an actual rendezvous at Fort de Chartres. 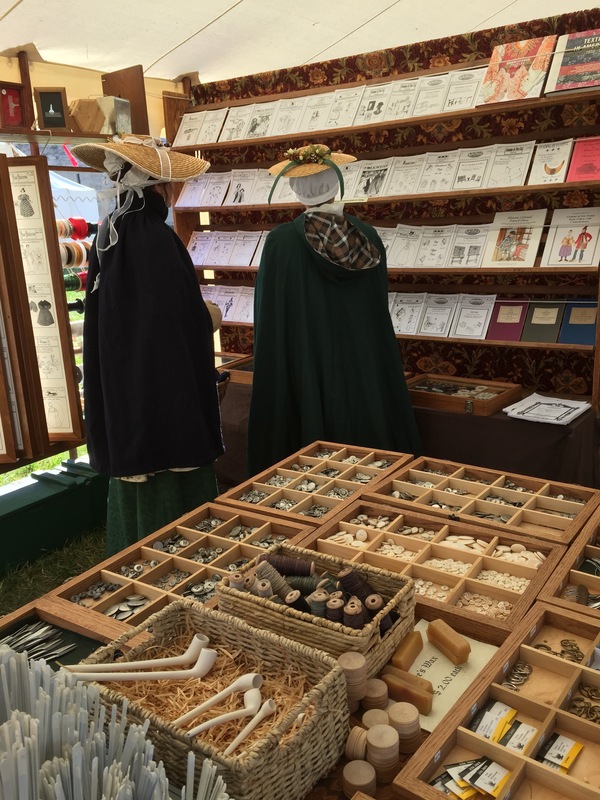 One man told us the story of his forebears coming to Quebec in 1608 and making their way to the Illinois Country by way of the fur trade canoe route north of the Great Lakes and then down the Mississippi. We learned that there are even still small communities in the area that speak “Paw Paw French,” a dialect that is similar to Canadian French but which has been influenced by English and even Spanish, African and Native American languages. After spending the better part of the day at the fort, we noticed the sun getting low on the horizon. While most people were packing up, some tents were still up. Groups of people gathered cast iron pots of stew or chili hung over neat fires. Fortunately the dog soldiers didn’t make a fuss when we pitched our decidedly non-period tent on the outskirts. Young Will…an excellent rendition and set of photos from the Rendezvous! Just one correction (because I was scolded a couple of times for mis-stating this), the American Bottom is singular not plural, so locals corrected me. I guess America can only have one derriere! Charles Dickens did not think much of America’s backside when he traveled from St. Louis to Lebanon, IL to visit the famed Looking Glass Prairie. Thanks for the correction Randy!